Cristiano Ronaldo continued his goalscoring woes while Lionel Messi failed to close in on the leader in the ranking – here are the top goalscorers in Europe right now. Ciro Immobile remained at the top of the ranking with 14 Serie A goals, despite Lazio's game against Udinese being postponed. Meanwhile, Edinson Cavani made the most of Neymar's absence for Paris Saint-Germain, scoring a brace in their 5-0 win over Angers and taking his tally to 13 Ligue 1 goals. Radamal Falcao, who sat out Monaco's 6-0 victory over Guingamp, shares the second spot with Cavani. 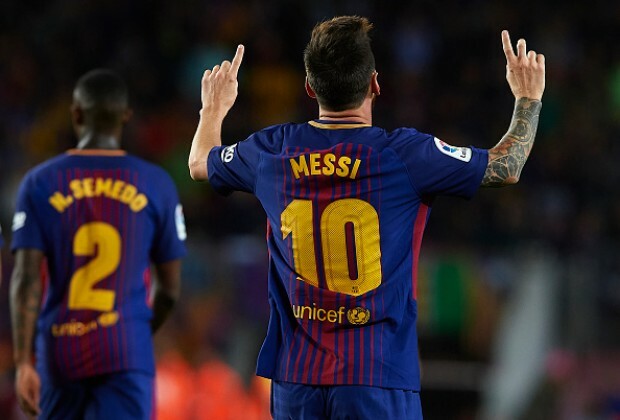 Messi follows in fourth position with 12 La Liga strikes, while Nabil Fekir’s brace for Olympique Lyon saw him climb to fifth spot on 11 goals. Robert Lewandowski, Mauro Icardi and Paulo Dybala also sit on 11 strikes, ahead of Pierre-Emerick Aubameyang and Dries Mertens, who complete the top 10 with 10 goals.